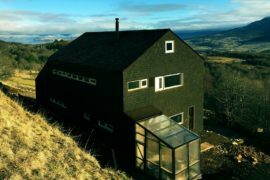 That perfect escape comes in different shapes for different folk. 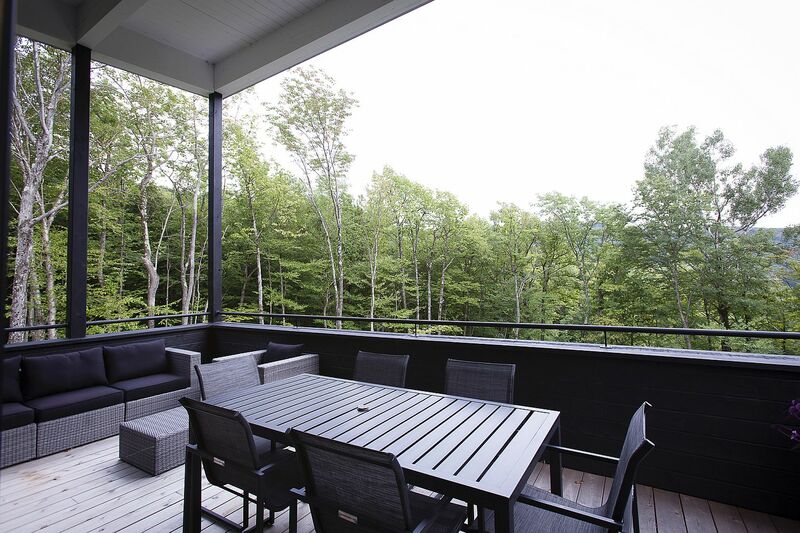 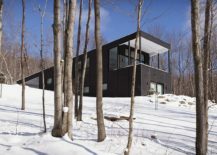 If you happen to be someone who loves both nature and snow-clad ski slopes, then this Cottage in Sutton is a getaway that you will instantly fall in love with! 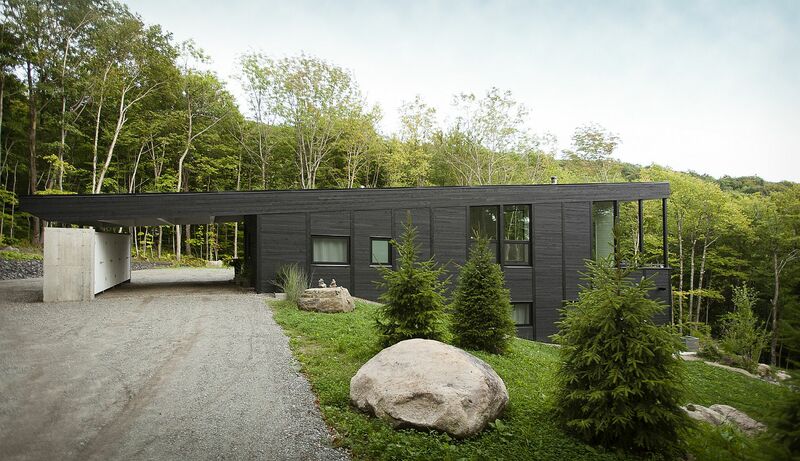 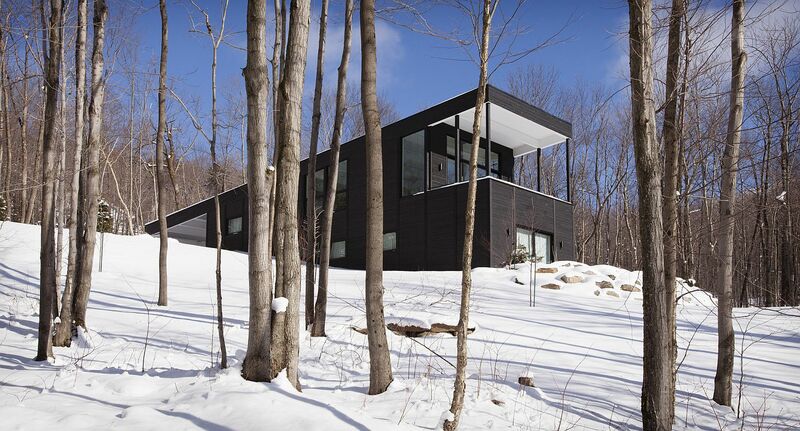 Designed for a modern family a weekend home, the mountain retreat has a dark, cedar clad exterior that allows it to standout visually during the cold winter months. 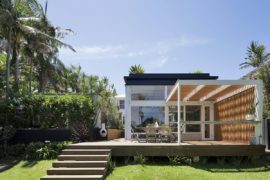 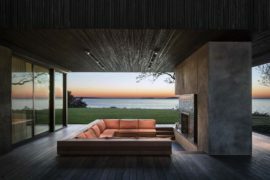 Natural gradient of the lot is something the home uses to its advantage even as its contemporary silhouette leaves one charmed. 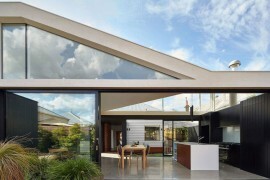 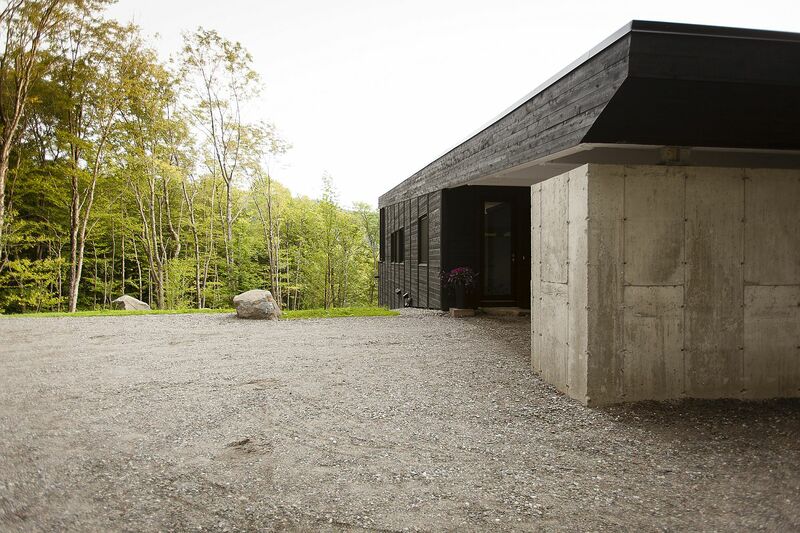 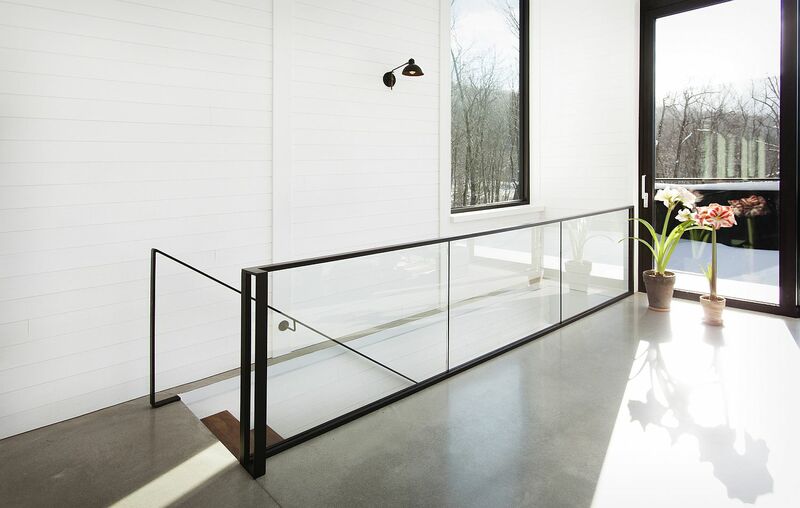 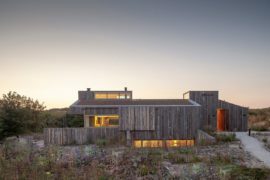 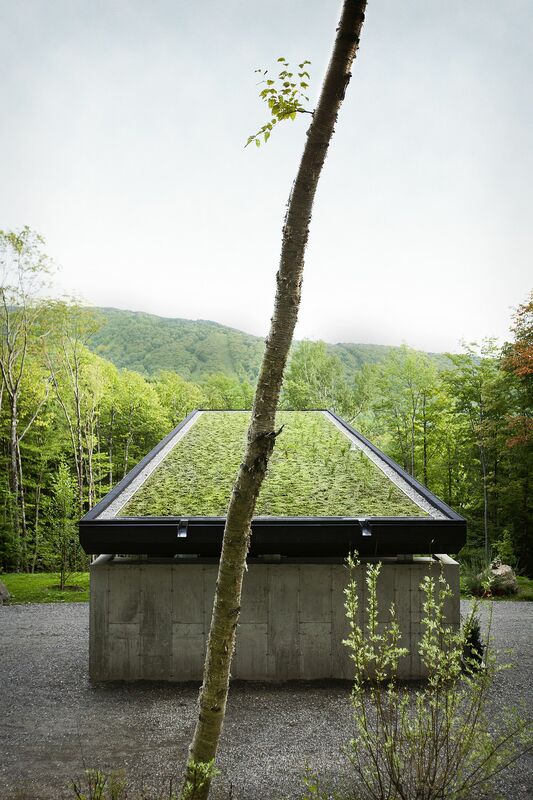 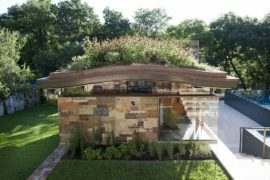 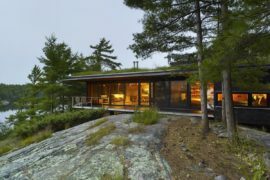 Designed by Paul Bernier Architecte, the vacation house also has a green roof that come alive during warmer months. 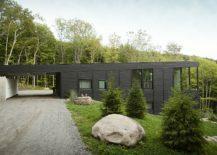 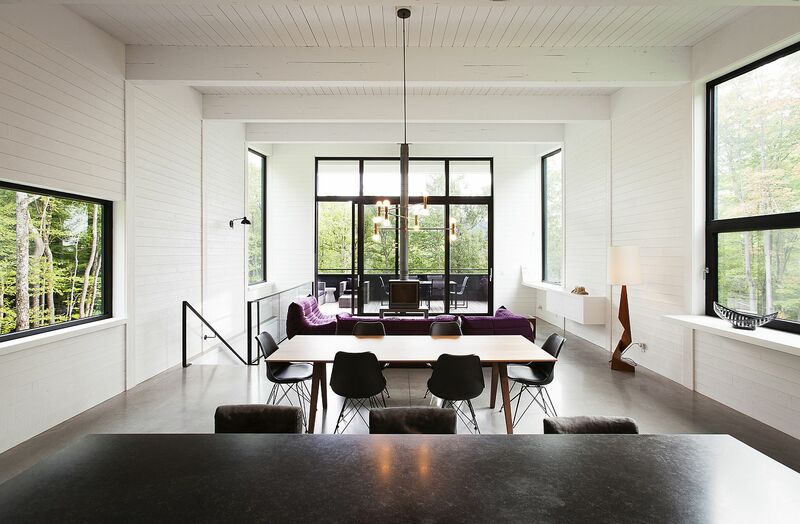 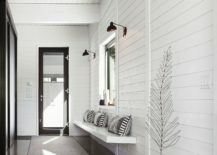 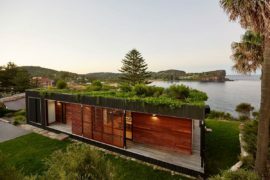 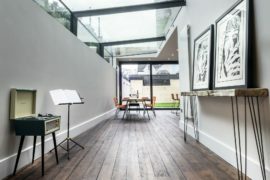 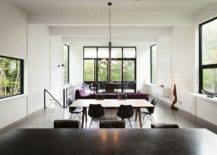 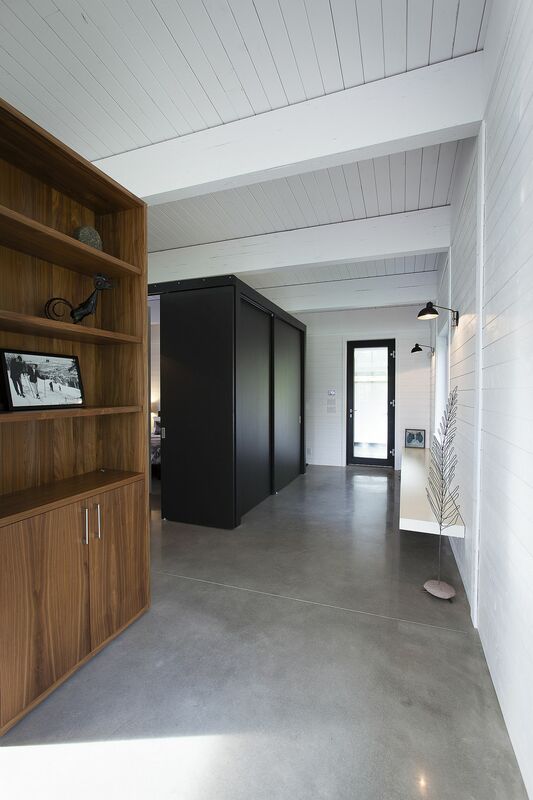 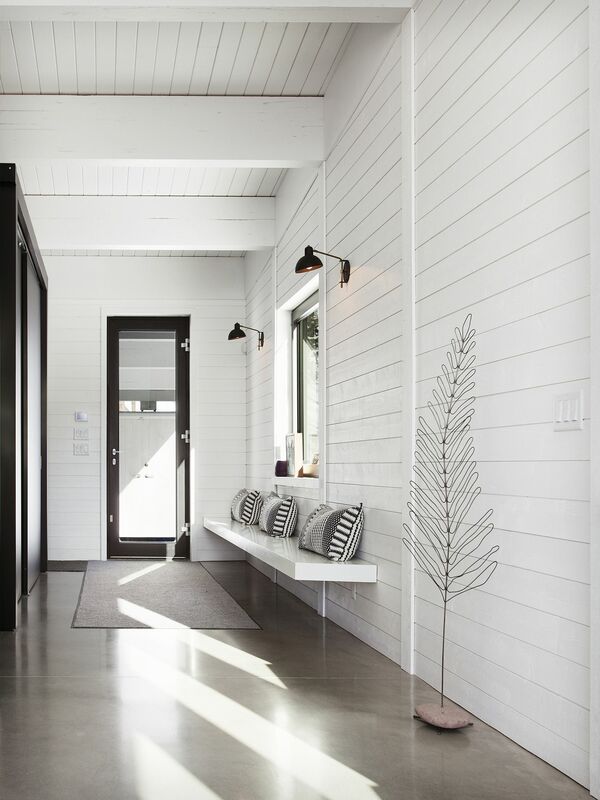 It is the green roof of the cottage along with its black form that instantly grabs your attention while the interior embraces a minimal, modern color scheme in black and white. 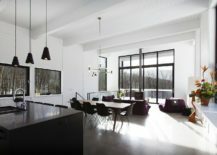 Plush and colorful sofas in purple enliven the living area even as large glass windows and sliding glass doors bring in ample natural light. 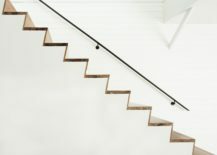 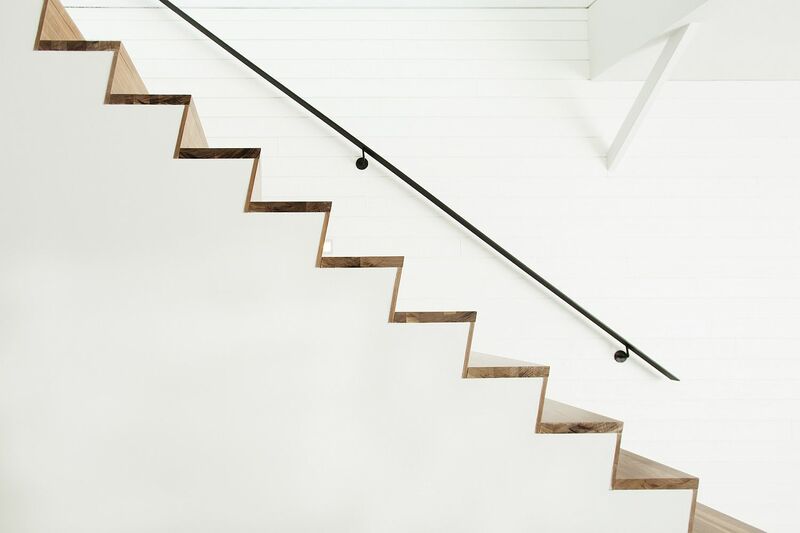 The interior feels refreshing, cheerful and smart with a minimal stairway in wood connecting the multiple levels.